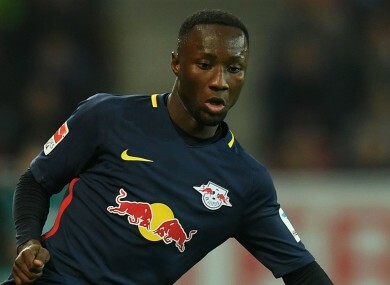 NABY KEITA WOULD be worth every penny of an €80 million transfer fee if Liverpool decided to make the RB Leipzig midfielder the club’s record signing. That is the view of former Anfield favourite Dietmar Hamann, who believes the Guinea international would readily justify such a vast sum. Keita has been strongly tipped for a move to Merseyside, with Jurgen Klopp said to be a keen admirer of the 22-year-old, and Hamann urged the Reds to take the plunge ahead of their return to the Champions League. “Would £70million put me off buying Keita? No,” the German told the Liverpool Echo. “Just getting through the play-off round and into the group stage of the Champions League would pay off a big chunk of that fee. “With Keita on board, Liverpool would have an even better chance of getting through. “You can question the fees being mentioned for the likes of [Virgil] van Dijk and Keita, but if you want the top players you have to pay the going rate. “It’s no good saying the market value is £30million because you aren’t going to get someone like that for that fee. Klopp has already secured the services of Mohamed Salah from Roma. Email “Didi Hamann urges Liverpool to splash the cash for Leipzig midfielder Naby Keita”. Feedback on “Didi Hamann urges Liverpool to splash the cash for Leipzig midfielder Naby Keita”.